Anna Botsford was born in 1854 in New York State. She was the only child of Marvin and Phoebe Borsford, a prosperous Quaker farming couple. When she became a college student at Cornell University in Ithaca, New York, in 1874, Botsford intended to study English. However, she enrolled in a class in invertebrate zoology taught by her future husband, John Henry Comstock, and became fascinated by entomology, the study of insects. After marrying in 1878, the Comstocks moved to Washington, D.C., where Henry Comstock was appointed chief entomologist at the U.S. Department of Agriculture. During their two­year stay in Washington, Comstock did clerical, editorial, and laboratory work for her husband, and illustrated his books on insects; her drawings were widely acclaimed. She later mastered wood engraving to illustrate the entomological books they published together, under their own company called Comstock Publishing Company. The company later became part of Cornell University Press. On their return to Cornell, Comstock completed her degree in natural history in 1885; she subsequently worked in the field as a spokesperson for the Nature Study Movement, founded in 1895 to educate children about the relationship between farming and nature study. She became active in science education all over New York State, lectured at a number of universities and teachers’ colleges, and produced numerous leaflets for classroom use. In 1899 she was appointed assistant professor at Cornell, becoming the first woman to reach professorial rank at Cornell. After some conservative trustees objected, her rank was reduced to lecturer in 1900. In 1913 she was once more appointed to an assistant professorship, and in 1920 she became a full professor. She authored and co­authored numerous books, and contributed to many other publications as author and editor. From 1917 to 1923, she was the editor for the Nature Study Review; her most important work, Handbook of Nature Study, was published in 1911. In her work, Comstock appears to have received constant support from her husband; from all accounts, he was as proud of her achievements as she was of his. She achieved national recognition, and in 1923 a poll named her one of America’s 12 greatest living women. Comstock retired from full­ time teaching in 1922, but continued teaching part­ time until two weeks before she died at age 75 in August 1930. 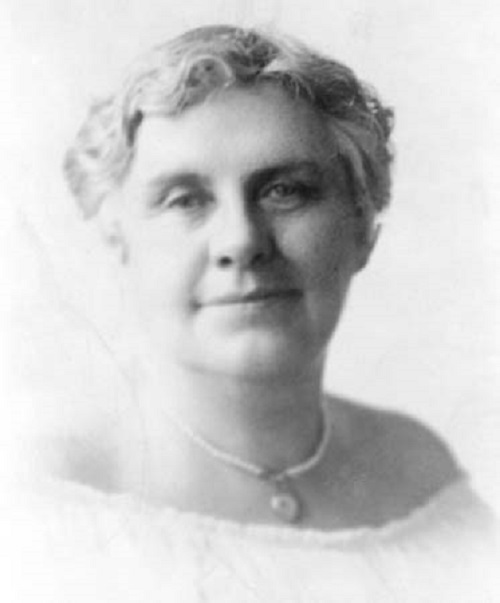 Anna Comstock inspired public interest in science, notably in entomology and nature study. Through her many activities and work in the nature study movement, she influenced science education policy. Her work in promoting nature study in schools was very effective, and her publications were important in the popularization of natural history, both among her contemporaries and in succeeding generations. Her Handbook of Nature Study, in particular, became a bible for teachers, garden club members, farmers, scoutmasters, and others interested in natural cycles and processes. By 1939 this bestseller was in its twenty­fifth edition in the United States and had been translated into eight languages. As the first woman to achieve professorial status at Cornell University, Comstock, along with other early women pioneers in universities, helped to break down the societal boundaries that barred women from careers in higher education. Posted on March 5, 2015 by Natalie. This entry was posted in Scientists and tagged Entomologists. Bookmark the permalink.